Industry expert Calum Richardson of The Bay Fish & Chips has joined forces with Captain Catch’s Silent Film Festival, a festival designed to educate children on the seafood industry, to create a short silent film about The History of Fish and Chips. 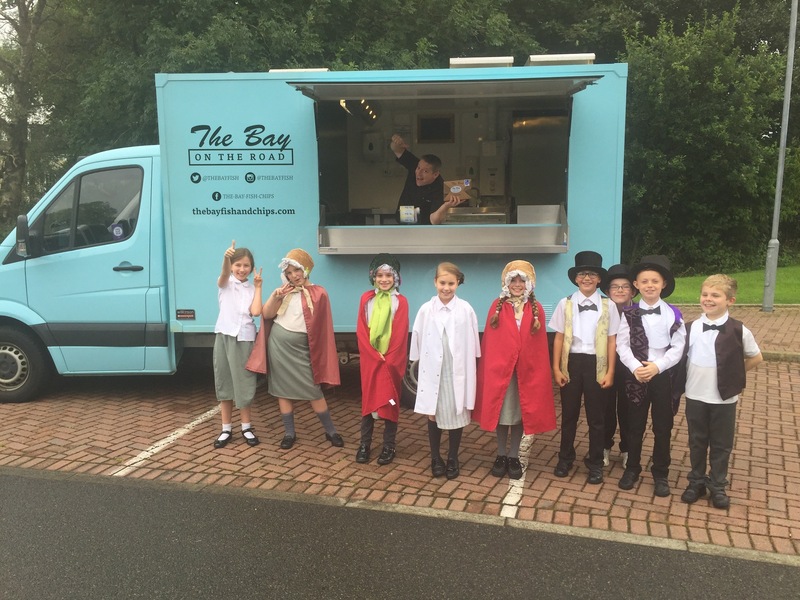 Funded by Seafish and produced by Beard Askew, Calum worked with aspiring young filmmakers from Stepps Primary School, one of the five schools selected from across the UK to take part in the seafood themed festival, to produce a film about the journey fish and chips has taken through time. As well as being invited to do the voiceover for the film, Calum shared his invaluable knowledge of sustainability, the environment and provenance, making it a fun, insightful and engaging experience for the children involved. Captain Catch’s Silent Film Festival has enabled children to engage with issues important to the seafood industry through their conception of ideas to form the basis for a short silent film. From the initial workshop day, through to filming and post-production, the students explore marine life and how this in turn becomes the seafood we see in the supermarket, at the fishmongers or at your local fish and chip shop. As well as being a market leader when it comes to sustainability, provenance and environmentally friendly business practice, Calum also regularly visits local schools to teach children about the importance of sustainability and eating well.